Three Dublin institutes of technology have applied to become Ireland's first technological university - with campuses in Grangegorman, Blanchardstown and Tallaght. If approved, the new-style university will cover the spectrum from apprenticeships to PhDs. The Technological University for Dublin Alliance (TU4Dublin) is a partnership of Dublin Institute of Technology (DIT), Institute of Technology Blanchardstown and Institute of Technology Tallaght. TU4Dublin announced its formal application yesterday, as the sod was turned on the new €220m campus for DIT at Grangegorman, Dublin, which is due for completion in summer 2020. The new university would be developed at Grangegorman, Blanchardstown and Tallaght, with a digital link between the three campuses for all student services and resources. The TU4Dublin application will be considered against criteria laid down in legislation for the establishment of technological universities. 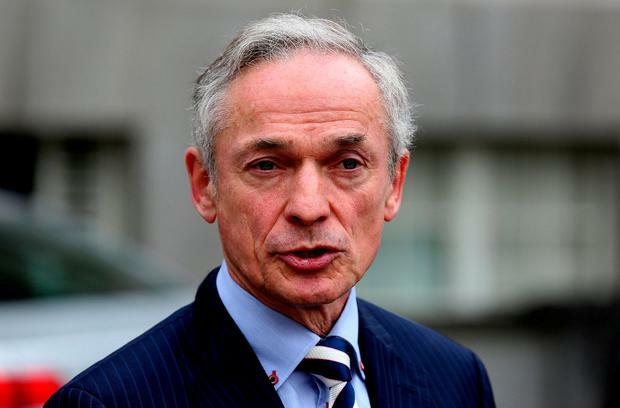 The Higher Education Authority (HEA) will invite an independent international panel to Dublin to evaluate the application and, based on its report, the HEA will make a recommendation to Education Minister Richard Bruton, who will take the final decision before the end of the year. Mr Bruton, Finance Minister Paschal Donohoe and junior minister for higher education Mary Mitchell O'Connor attended yesterday's sod-turning ceremony. Technological universities - to be created from a merger of existing institutes of technology - were recommended in a 2004 report on higher education in Ireland, known as the Hunt Report. TU4Dublin Strategy Steering Group chair Professor Tom Collins said the application represented a significant milestone after seven years of hard work. DIT president Professor Brian Norton said they envisaged a technological university for Dublin that combined both theoretical and practical approaches to learning, whether in apprenticeship or PhD programmes, underpinned by a strong research base. Other institutes of technology have also linked up with a view to pursuing technological university status.